A good watering can is a crucial tool for any gardener. Unlike other watering systems, a watering can offer a targeted approach, which is beneficial, especially to the small seedling and full planters alike. Today, we shall look at the Haws Watering Can, manufactured by the infamous Haws company. The Haws V143T evokes the original Peter Rabbit design due to its demand. Haws has all it takes to satisfy your water gardening needs. From the unique construction, placement of the spout, comfort levels to precision-drilled brass rose, the Haws Watering Can is the go-to solution for every gardener. What else is Interesting About Haws Watering Can? 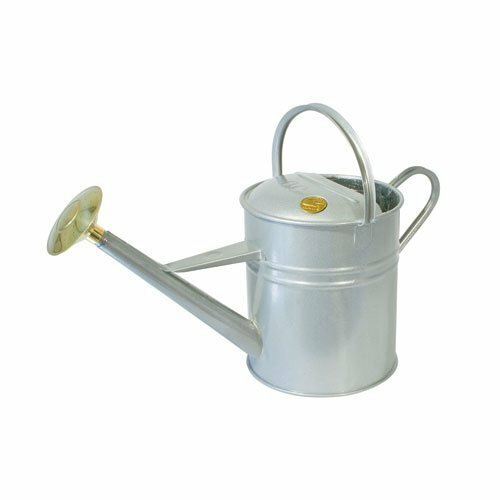 Sporting heavy gauge steel, coated with galvanized steel, an ergonomic design, chic design, plus more, the Haws Can offers the finest features you will ever get in a watering can. What's more? Coming from a renowned manufacturer, who has been in the industry for more than a century, you can expect nothing other than functionality, excellence, and quality. 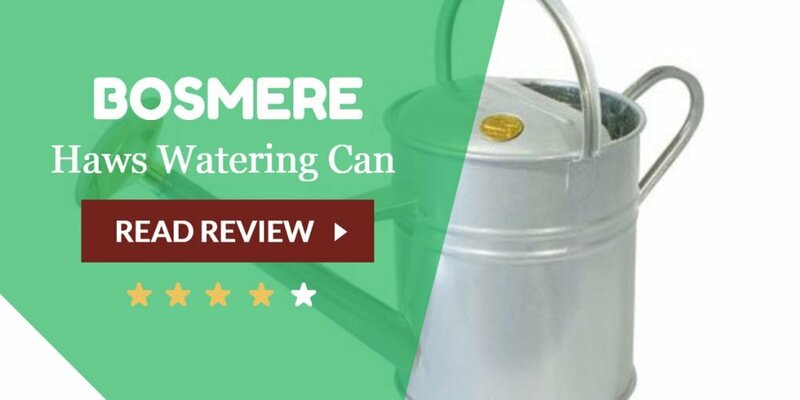 If you`re looking to purchase a Haws Can, then journey with us in our comprehensive Haws Watering Can review. Here, we shall look at everything you need to know about the Haws can including highlighting the features, and drawbacks of the can. Here are some top features on this Watering Can that makes it stand out from the rest of the watering cans. First thing first, when looking for the best watering can, it's important to consider its size or rather water holding capacity. As a rule of thumb, it's important to look for a can that meets your watering needs without having to bog you down. Fortunately, for the Haws Watering Can, it strikes the perfect balance between the two extremes with its 2.3 gallon, or 8.8 liters’ capacity. The Haw`s water capacity allows you to hold sufficient water for your gardening needs, without having to refill it constantly for a single bed. Again, it's not too difficult to lift even when heavy. Though a filled Haws is not too heavy, it's helpful using both hands when lifting and carrying it, especially for the petite individuals. What we love most about the Haws Can is that it features two hand grips that feel and make the can comfortable, well-balanced and easy to use. Besides ergonomics, the two hand grips on the can make the watering experience less tiring and provides room for different watering positions without having to worry about water spilling out. The Haws Watering Can is not your regular piece of plastic junk that you find in most gardens. It's a masterpiece and timeless addition to your garden that has a minimum life expectancy of 20 years. A major contributor to the robustness of the can is the heavy duty gauge steel construction for extended life. And as we know, steel is durable and long-lasting, meaning the Haws can take a beating and stomach anything you throw at it without sacrificing on its structural integrity, just like the stainless steel garden hoses. What's more? The heavy duty steel is further reinforced with a layer of galvanized zinc. As it stands, the Haws Can is not affected by the external conditions including rust. With the Haws Can, you get a gardening tool that is virtually indestructible. Aptly named the Haws V143T, the “T” symbolizes the color titanium used on the can. You ask why Titanium is popular? Well, Titanium looks classy, functional and traditional. The titanium finished can practically glitter and looks awesome. Combine this with the Peter Rabbit design, and you get yourself a piece of art that will see your neighbors and passerby`s mouths drop open when they see you watering. Though a small part of a can, the spout makes a huge difference in the efficiency of plant watering. The Haws comes with a long plastic downspout, which makes it useful for watering your plant, particularly if you have items like hanging plants. What we love about the Haws spout is that it`s positioned higher from the container area of the can, meaning that it does not result to water overflows, and allows you to pick up as much water as you would like, without wasting any of it. Featuring a removable brass rose, the Haws Delivers a gentle rain ran when watering plants. Each hole on the rose is precision drilled, meaning that water comes equally from all holes at once. Since the Haws rose is removable for an easy switching-out process, it's easy to clean and dislodge any errant debris. Again, unlike the plastic roses, the brass rose construction is highly resistant to corrosion and hard water deposits and long-lasting. The Haws Watering Can also have its share of downsides. First, the Haws lacks on measurement markings. While they are not obligatory, having measurement marking on the can make gardening a lot easier. This is true, especially when you're watering flowers or crops that need specific amounts of water. Again, should you start a new seedling bed, these marking can also be important when measuring the amount of fertilizer or gardening solutions you need. The second downside lies in the plastic spout. For a start, plastic is flimsy compared to other materials such as metal. Secondly, the spout is not removable or feature a filter that will eliminate blockage at the ross. This can be a tad challenging, especially if you're using contaminated water full of solid debris. Despite the above downsides, I would still recommend the Haws Watering Can. It's a budget-friendly option designed from quality materials, and with care, it should last for a decade and more. Most importantly, the Haws has all it takes to satisfy your water gardening needs. From the unique construction, placement of the spout, comfort levels to precision-drilled brass rose, the Haws Watering Can is the go-to solution for every gardener.